Love it. 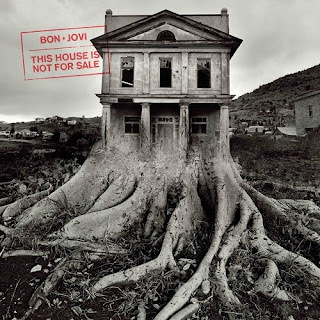 Best BonJovi album in a long time. Every single song is great. I absolutely love this album! So happy I pre-ordered it on Itunes! Unfortunately, however, I am in the USA, so I don't have most of the bonus tracks. When you get your Japanese CD, would it be possible to email an unfortunate American some .MP3s of "Goodnight New York", "I Will Drive You Home", and "Touch of Grey"? I have not been able to find them anywhere on the internet yet, but I will keep trying, especially since I would like to find that MP3 of "Color Me In". There's supposed to be a Target version in the US with the extra bonus tracks on it, though not everyone has been able to find it at Target yet. For the first time ever I may not be buying one of their albums. I really dislike what I heard so far and it put me off listening any more. I thin this is the best album they have put out for a long time. I have really enjoyed it. I just bought the live version and I must say, I am not impressed with Jon's voice at all. The power on some of the album songs was clearly machine work. Live, his voice just has no power anymore. Musically it sounds great. On some songs he sounds ok, but just overall his voice has no more power. I am not sure how he will end up doing a tour or any sort of lengthy set lists. Jon's live singing is a major concern for me too. But he was able to get his voice sounding great again when he had the same vocal coach working with him for an extended period on the Lost Highway tour, so I'd like to think the damage is reversible... but I don't know if he is doing anything about it this time.